The vision of this Research Education Program is to train the next generation of researchers who can create and apply state-of-the-art statistical genetic methods in order to evaluate data on substance use, abuse and dependence (SUAD). The VIPBG Statistical Genetics Research Education Program (SGREP) provides research education opportunities and infrastructure support to promising and innovative junior researchers who wish to develop a focus on statistical genetic methods with special emphasis on substance abuse research. Specifically, the program is designed to bring together researchers from multiple academic backgrounds to create opportunities to investigate research questions in a multidisciplinary setting. VIPBG itself comprises faculty with appointments in the Departments of Psychiatry or of Human and Molecular Genetics, or both. The faculty for SGREP are drawn from VIPBG, the Departments of Biostatistics, Pharmacy and Pharmacology/Toxicology. As opposed to other training grant mechanisms (such as the NRSA, T32 or K32 mechanisms), the R25 provides infrastructure support for the integration of multidisciplinary and diverse expertise, an approach to which the VIPBG is strongly committed. This integration is vital if we are to address the complex problems of the genetic epidemiology of substance abuse. The overall goal of this research education program is to provide an environment that encourages the development of statistical genetics methodology which is suitable for the analysis of data on substance use abuse and dependence at the highest levels. Two research focus areas are addressed, advanced genetic epidemiology (AGE) and statistical molecular genetics (SMG). Accordingly, we have structured a research education program that will enhance interdisciplinary research, something we believe to be essential to conducting research in this field, and which is a critical component of NIDA’s mission. The research education program consists of two components. First is pre-doctoral research education, which recruits potential future investigators to the area at the earliest time in their careers. This component will accelerate the development of focused substance abuse statistical genetics research by creating a cadre of students who are focused on this research area at the outset of their research education. Second is the post-doctoral component, which recognizes that many promising young researchers have obtained their early training in areas related to, but not focused on, the genetics of substance abuse. This flexible 2-3 year postdoctoral research education component is intended to guide young investigators to this field of study and to provide them with integrated and focused research experience in the statistical genetics of SUAD. Research education is targeted to individuals trained in biostatistics, human genetics and medicine. The goal of the program is to foster the career development of independent investigators who will contribute to the efforts of the VIPBG and other institutions nationally. To accomplish this goal we will: 1) offer a multidisciplinary integrated research education program with a range of research opportunities; 2) fund two pre-doctoral and three postdoctoral participants in emerging research areas of the statistical genetics of substance use and abuse; 3) provide research experience and intensive mentoring to researchers from diverse academic and ethnic backgrounds; 4) create a specialized curriculum that integrates strengths in statistical genetics and substance abuse research at VCU; and 5) disseminate these materials via the internet in the form of websites, webcasts and podcasts, and through week-long intensive workshops. The Advanced Genetic Epidemiology Program (AGE) – Faculty with strong emphasis on AGE are Michael Neale, PhD, Kenneth Kendler, MD, Lindon Eaves, DSc, Hermine Maes, PhD, Robert Balster, PhD). The main research focus of the AGE program is the development of novel statistical methods and their implementation in software for the analysis of SUAD and its associated complex traits. The primary research areas within this program are: the measurement and classification of substance use and symptoms of abuse and dependence; interactions and correlations among genetic, environmental and developmental factors, exposure to deviant peer groups, substance availability, and exposure to substance use in the home environment, handling of missing data and under-reporting; joint analysis of genetic and environmental risk factors for substance initiation with those for development of abuse and dependence conditional on initiation; modeling polyabuse and its risk factors; comorbidity with psychiatric disorders; trajectories of the development of patterns of use; the analysis and interpretation of repeated-measure data on substance use disorders; modeling cross-informant reporting; statistically rigorous integrated etiologic models for substance use disorders including both genetic and environmental risk factors; models for development and the interaction over time of genetic susceptibility with environmental risk exposure; and the interpretation of bivariate and multivariate data from relatives to assess the relationship of genetic and environmental risk factors for abuse and dependence across different classes of psychoactive substances. New statistical methods developed in this program usually require testing via simulation studies, which in turn often demands substantial computational resources. VIPBG maintains its own computational cluster and has access to others for this purpose, so participants will be able to conduct simulations and analyses in a timely fashion. Development of software requires understanding of the capabilities and limitations of available programs and programming skills at multiple levels that can be used to overcome these shortcomings. It also requires cost-benefit analysis to evaluate how problem-specific and computationally efficient vs. how general and user-friendly the resultant product is to be. Training in innovative modeling, software development, applied analysis and dissemination are the key components of this program. Statistical Molecular Genetics Program (SMG) – Faculty with strong emphasis in this area of focus are: Edwin van den Oord, PhD, Sam Chen, PhD, Michael Neale, PhD, Lindon Eaves, DSc, Mike Miles PhD). The SMG program initially seeks to identify polymorphisms on the human genome that confer risk for the initiation and persistence of substance use. An immediate secondary goal is to identify the mode of action of these variants through bioinformatics, proteomics, metabolomics and statistical modeling of biochemical pathways. This effort is being conducted by multiple investigators and in both human and model organisms. Design and statistical analysis issues are considerable, often involving extremely large datasets. Research areas within this program include: linkage, candidate gene and whole genome association studies; large scale experimental and statistical analyses of SNPs and haplotypes; population stratification and admixture; epistatic interactions; gene expression in model organisms; microarray experiments; data-mining and false discovery. Especially synergistic with the AGE focus are the use of gene association findings to investigate GxE interaction, comorbidity, pathology and development, and causal mechanisms. Further interrelation exists with three themes that pertain to the interplay of genotypes and environment: vulnerability, resilience, and protective factors; correlations between environmental factors and health problems; and sensitivity to environmental fluctuations. For these themes we will further develop and specify models that give greater insight into the nature of the genetic effects on SUAD and its related risk factors. and demonstrate these models using four existing samples in which genotype-phenotype associations have been found. Finally, methods to personalize medicine that exploit findings from these areas bring a translational component. The focus of pre-doctoral research education is to obtain a Ph.D. with a special emphasis on statistical genetics. Given that the degrees will be obtained within the established programs, graduate students entering this research education program have to fulfill the requirements of their respective departments. In each department, four to five years of full time study are necessary to fulfill all the requirements. The majority of departmental course work is taken during the first two years. Students concentrate on specialized course work and their dissertation in the last two or three years. These latter years are the ideal time for funding from this research education grant, as they provide ample interaction opportunity with the advisor, other statistical genetic faculty and other pre- and postdoctoral participants. Thus, candidates have to complete the core degree requirements and complete the respective qualifying exams before embarking on the R25 research education program. In addition to the statistical genetic focus and regular research education in each of the four participating departments, we have developed specialized curricula in statistical genetics for each pre- or postdoctoral program that can be found below the descriptions of departmental research education. Besides the core course work and elective courses, individual candidate research education plans and directed reading will be determined in consultation with the Ph.D. advisor and mentor. Human & Molecular Genetics – The Department of Human & Molecular Genetics currently has 20 graduate students enrolled. Students working toward the PhD degree pass through two stages of graduate study, course work and doctoral dissertation. Within the Human & Molecular Genetics PhD program there is a recognized ‘Quantitative Track’ which is recommended for students with an interest in psychiatric or behavioral genetics. Students who enter the quantitative genetics track are situated at VIPBG. The course of study requires taking three advanced courses in quantitative genetics and two of three non-quantitative genetics specialty courses (clinical, biochemical-molecular, or cytogenetics). The minimum requirement is 36? credit hours. The primary focus of postdoctoral research education is the development of research skills as applied to statistical genetics problems in substance abuse. It includes key elements of research methods in genetics, including both genetic epidemiology and molecular genetic approaches. In addition, the program provides training in grant writing and academic presentation. There is a strong emphasis on broad exposure to methods of genetics and biostatistics from structural equation modeling of twin and family data to genome-wide association analyses. The core postdoctoral research education is focused on supervised research under the mentorship of experienced scientists (primary and supporting mentors), which prepares the participant to apply their research skills and learn new ones as needed to answer research questions in the area of statistical genetics. Strong encouragement is given to projects that will lead to first-author publications and future career awards that build on the research they conduct as participants. Postdoctoral participants occupy private offices at VIPBG. Fellows may have an MD or a variety of PhD degrees (biostatistics, genetics, public health, epidemiology, psychology). In consultation with their primary mentor, participants will develop an individual candidate research education plan, tailored to their needs. Primary mentors meet with their participants weekly. The postdoctoral participant has the maximum amount of flexibility in the research education program. They may choose advisors and seek out experiences in statistical genetics across the program and the university. They are able to make full use of the statistical genetics faculty for advising and consultation. The exceptionally rich academic environment and the wealth of funded research projects (see Table 4) allows the participants to choose a specific research project(s). In the second year, participants are expected to develop and submit a grant proposal to NIH or a private foundation. The Program Directors ensure that the individual research education plan conforms to those expectations. 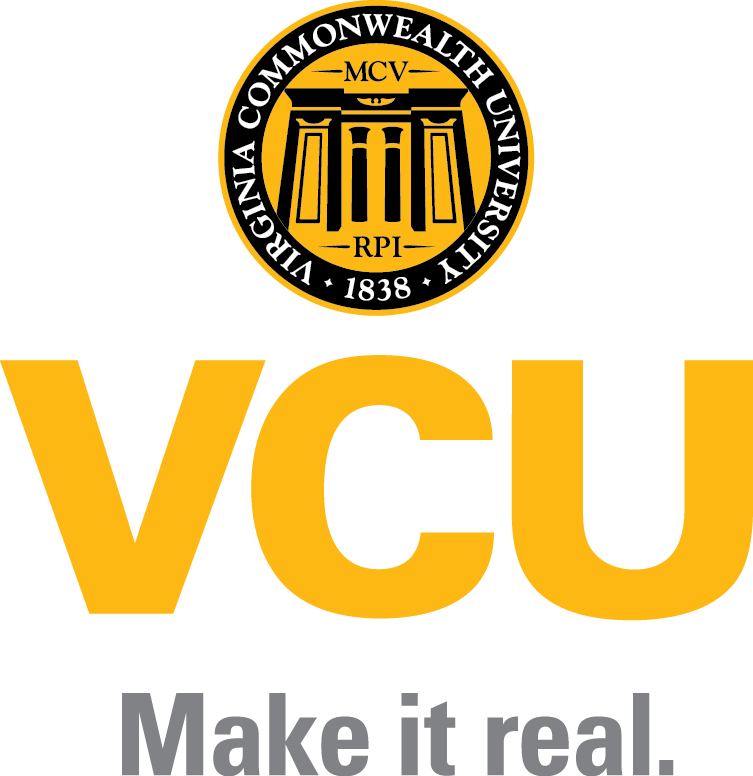 In addition to research activities and formal research education, professional development of participants is encouraged through seminars, tutorials, selected readings, attendance at lectures in other departments, workshops locally, or outside the university if specialized education does not exist at VCU. The novel, specialized curriculum for pre- and postdoctoral participants consists of new courses, seminars, and meetings and paper preparation. Special Topics in the Genetics of Substance Misuse has been created specifically for SGREP and will be team taught. It is designed to be the focal point of research education for all participants. Taken in the first or second year, it will provide participants with a formal introduction to all faculty, program directors and other participants. The course includes general introduction to VIPBG, and descriptions of each of the funded research projects that constitute the research education environment. This overview will provide a broader framework for participants and has great potential for interaction and collaboration across various disciplines. Sessions include planning research projects, power calculations, data access and statistical methods. There is also a session on career development and job negotiation. Students are also required to give presentations in their area of interest. The course will be offered to the entire university community as a 3-credit course, which will serve to stimulate interest in statistical genetics throughout the university. However, the course is designed exclusively for participants; others will be admitted on a permission basis only. Introduction to statistical programming in R is designed as a general introduction to R by presenting statistical genetic analyses as its framework. Data management, use of graphics, linear modeling all use examples from genetics. Association and Linkage Mapping provides a contemporary introduction to gene-finding approaches, with special emphasis on GWAS, association and linkage disequilibrium. Statistical Methods in Systems Biology is an introduction to quantitative techniques for modern biological discovery using high-throughput datasets. Grant Writing – All participants, are required to take Dr. Eisenberg’s course (PSY 594, 2 credits, Table 17) or equivalent in NIH grant writing. This course is a comprehensive grant writing course complete with critical faculty review and a revision process. Statistical genetics participants are required to write their grant in their area of research. This course provides all the elements essential to learning this critical skill including a simulated peer review (panel including at least one statistical genetic mentor) and a mock application to NIH or an equivalent organization. VIPBG Seminars – The institute hosts a weekly research seminar on substance abuse, psychiatric, behavioral and statistical genetics that all participants are encouraged to attend. We will also bring in nationally known speakers in relevant areas of statistical genetics of substance abuse. VIPBG genetics/neuroscience seminars – Each week a journal club meeting is organized with a target article on statistical genetics or neuroscience. Statistical Genetics Research Working Group Meeting – This monthly meeting is open to anyone interested in statistical genetics, and uses a seminar format to discuss ongoing or future research projects. Formal Weekly Mentoring Meetings – All participants must attend the weekly meetings with their primary mentor. Informal Meetings with Faculty – These meetings with primary, secondary mentors or other program faculty may occur weekly or more often as necessary and address specific research and educational issues with the candidate. We consider this to be a vital part of the mentoring process. The contiguity of space, with graduate and postdoctoral students embedded in the department of their primary mentors, has proven to enhance interactions among students and faculty from all disciplines. Formal Weekly Team Project Meetings – All SGREP faculty have formal weekly or bi-weekly research meetings for their associated project that participants will be required to attend. Major Scientific Meetings (e.g. International Society for Psychiatric Genetics, American Society for Human Genetics, Behavior Genetics Association, International Society for Twin Studies). Participants are encouraged to attend and present a paper or poster at a major scientific meeting at least once a year. This provides great opportunities for introduction to major researchers in their fields. First-author Paper Preparation – Strong emphasis is placed on the review and provision of feedback on first-author papers that participants prepare for publication. Statistical Genetics Methods of Substance Abuse Workshop – All participants will be exposed to at least one VIPBG SGREP workshop; depending on level and relevance, they may also attend extramural workshops, such as those taught in Boulder, Colorado or Birmingham, Alabama. Research Grant Application – In addition to formal research education in grant writing, postdoctoral participants are expected to complete and submit at least one grant to the NIH or equivalent organization. This process involves all stages of the process of research grant development and submission, including discussion of research ideas, formulation of aims, literature review, actual grant writing, and human subjects applications. These grants are reviewed by the primary and supporting mentors. Upon satisfactory revisions, the grant must be brought to completion and submitted. Involvement in Consultations/Collaborations – Fellows are invited to participate in meetings with other researchers as part of collaborative or program projects within the university and across universities. Paper Reviews – Advisors will enlist participants to provide ad-hoc assistance in the reviews of papers for journals. Mock Interview Practice/Research Presentation – Postdoctoral participants are also required to present their job talk as one of the seminars. This is an opportunity for participants to get professional feedback on their research presentation for academic or other positions. Education in Innovation – Innovation may be defined as the act of introducing something new. In the present context we consider it to be the successful introduction of new statistical methods for the analysis of genetically informative data on substance abuse. SGREP is designed to facilitate both the generation of creative ideas and their implementation. First, the multidisciplinary team and variety of research projects available stimulate novel matches of statistical methods with data analytic challenges. The interplay between empirical research and methodology is especially fruitful; it encourages the development of methods and software that have direct practical use. Second, the VIPBG seminar, project meetings, workgroup meetings and journal club are all run with an open ‘ask any question at any time’ policy. This also will be the format for the workshops to be taught in years two and four. The SGREP fellows will be an excellent position to take advantage of the novel ideas that flow in these forums. Not bound by obligations to conduct analyses articulated in the specific aims of preexisting research grants, the fellows will be able to select the most interesting and promising ideas to pursue for themselves. This pursuit will be facilitated by the presence of the wide array of statistical tools that already exist. In some cases, existing methodology may be applied in a new context. A great advantage of SGREP is that expertise is available at all levels, from the lowest level of object-oriented programming to the application of pre-existing software. Fellows would have the advantage of working in an environment with clear goal definition, careful alignment of actions to goals, participation in a top quality team, with very clear communication, access to the necessary tools and information as how to use them, and regular monitoring of results. These are key ingredients in fostering innovation. Scientific Integrity – All research education participants on this grant will be required to attend the one credit hour course MIC 510, taught by Dr. Macrina at VCU during the Fall semester. Enrollment is limited but preference is given to NIH funded students. The course surveys contemporary issues relating to scientific integrity and responsible conduct in research (RCR). Topics include ethical scientific conduct, scientific fraud and misconduct, authorship and peer review, use of humans and animals in biomedical research, ownership of data, intellectual property, conflict of interest, scientific record keeping, academic honor codes, and the ethics of genetic technology. Research Ethics – All participants and mentors must be certified in the ethics of research with human subjects by completing the University’s seminar and on-line examination. Medical ethics is becoming increasingly important in the conduct of medicine and medical research. Participants have to prepare an IRB application prior to initiating a research project. Electives – Each participant will supplement their required courses with additional electives offered both in the proposed research departments and in the university. Departmental, Institute and Other Seminars – The Departments of Human Genetics, Biostatistics, and VIPBG run weekly research seminars which pre- and postdoctoral participants are encouraged to attend. The Center for Advanced Research Methods and Analysis (CARMA; http://www.pubinfo.vcu.edu/carma) at VCU holds and webcasts monthly colloquia and intensive one to two-day workshops – often on structural equation modeling, measurement or similar themes of relevance to SGREP. Active participation by the participants at the various seminar series is strongly encouraged, both as members of the audience and as presenters. There is no better way to learn a subject than to have to teach or communicate it to others in a formal or semi-formal setting. Seminars also allow participants to rehearse talks prior to presentation at national or international meetings, gaining valuable advice on presentation style and contact, and improving their chances of giving high quality presentations at conferences. In summary, participants are required to attend the statistical genetics course, a grant writing course, and courses on scientific integrity and responsible conduct of research. They must attend formal weekly mentoring meetings and at least one workshop. Furthermore, they are strongly encouraged to attend VIPBG seminars, Statistical Genetics Research Working Group Meetings and team project meetings.